OMGOMGOMG I am loving this Warby Parker X Suno collaboration! And remember - for every pair of Warby Parkers sold, a person in need gets a pair of glasses. Guilt-free shopping. 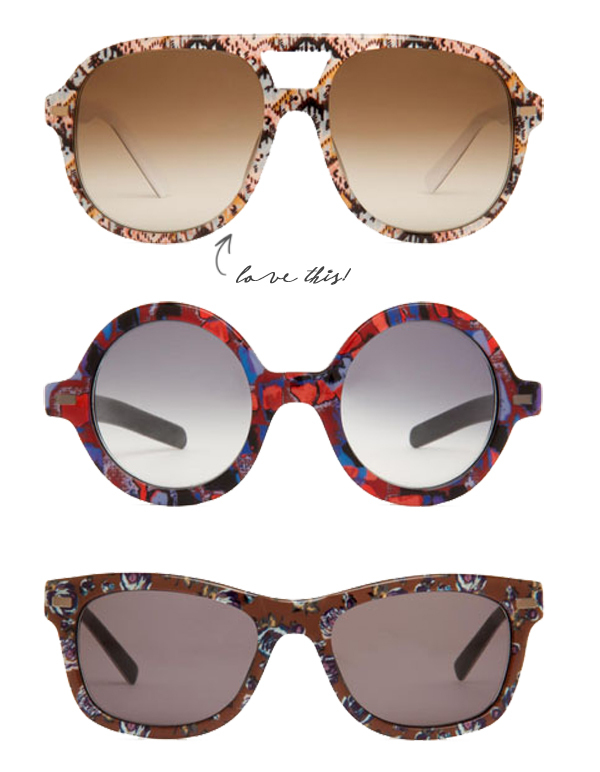 Would you wear crazy printed sunnies like these? These are amazing! I wonder if Stel's has them in stock. They have a Warby Parker studio in the store now. Love the 3rd pair, too cute. The 2nd pair are fabulous! these are super cool... i love glasses with funky frames! i concur. those tops ones are awesome. Woohoo! Glad I am not the only one in the wild sunnies boat! Love this collab.